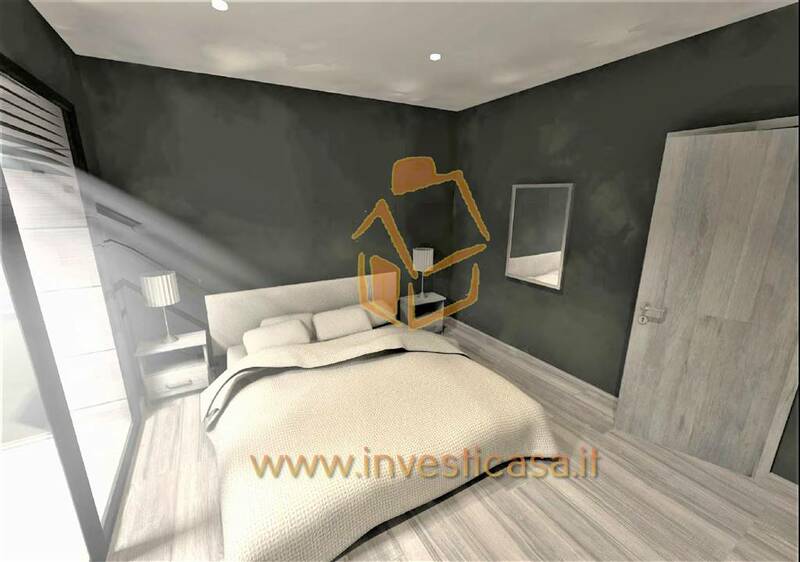 PROPONIAMO IN VENDITA, VILLE BIFAMILIARI IN COSTRUZIONE IN RESIDENCE DI SOLE 7 VILLE CON INGRESSO INDIPENDENTE, GIARDINO PRIVATO E PISCINA CONDOMINIALE. 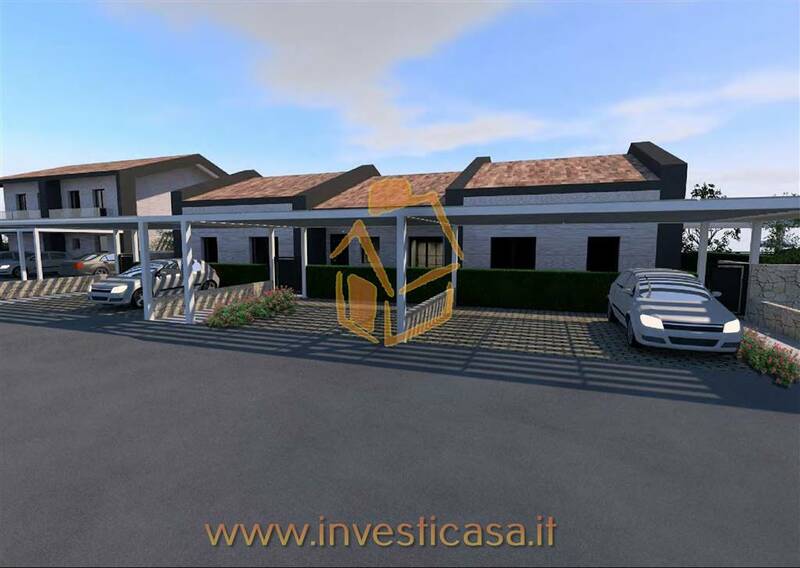 LE UNITA’ SONO DOTATE DI ACCESSO CARRAIO E PEDONALE PRIVATO, OGNI VILLA AVRÀ 3 POSTI AUTO DI CUI 2 COPERTI INCLUSI NEL PREZZO L’INTERVENTO SUDDIVISO IN 3 EDIFICI 2 BI-FAMILIARI CHE FRUIRANNO DI UN AMPIO GIARDINO PRIVATO ANGOLARE, E UN CORPO CENTRALE DI TRE VILLE INDIPENDENTI. LA SUPERFICE DELLE 4 VILLE ANGOLARI È DI 133 MQ DI SOLA ABITAZIONE DISPOSTE SU 2 LIVELLI, CON ZONA SOGGIORNO PRANZO, 2 BAGNI E 3 CAMERE. 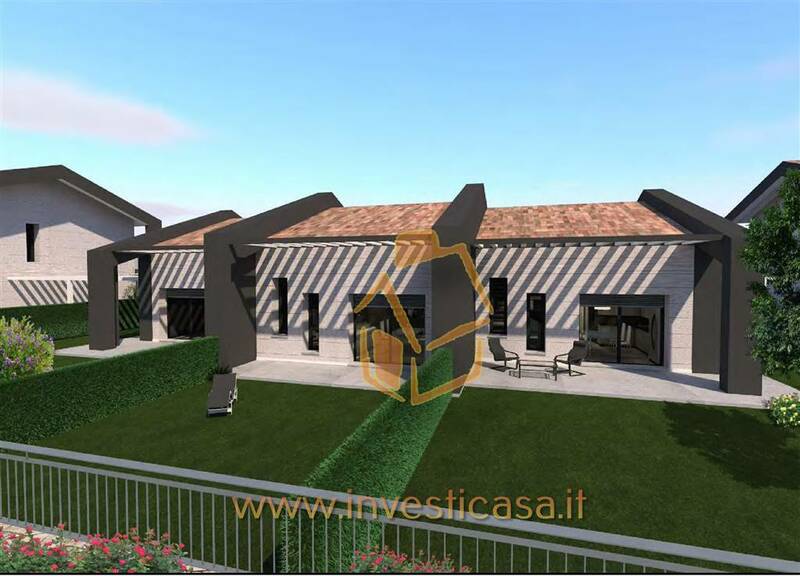 LE 3 VILLE CENTRALI CON GIARDINO PRIVATO FRONTE RETRO, SI SVILUPPANO SU 80 MQ DI ABITAZION, DOVE SONO STATE RICAVATE UNA ZONA SOGGIORNO PRANZO, 2 CAMERE E 1 BAGNO, OLTRE AD UN PIANO MANSARDATO DI CIRCA 58 MQ . 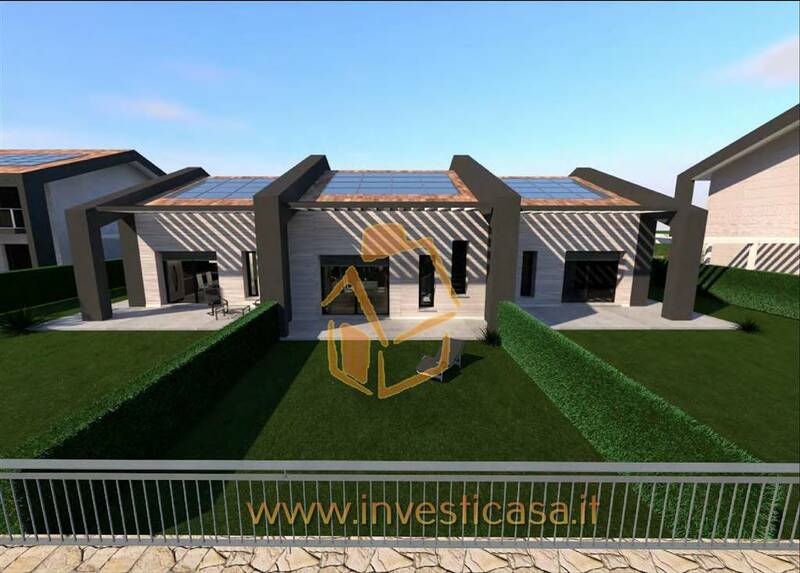 LE UNITÀ SARANNO IN CLASSE ENERGETICA A4, TUTTE DOTATE DI PANNELLI FOTOVOLTAICI E SOLARI TERMICI PRIVATI, IMPIANTO DI RAFFRESCAMENTO A PAVIMENTO CON SISTEMA DI DEUMIDIFICAZIONE E TRATTAMENTO DELL’ARIA INDOOR ( V.M.C. VENTILAZIONE MECCANICA CONTROLLATA), IMPIANTO DI IRRIGAZIONE AUTOMATICA DEI GIARDINI E ROBOT TAGLIA ERBA PERSONALE. 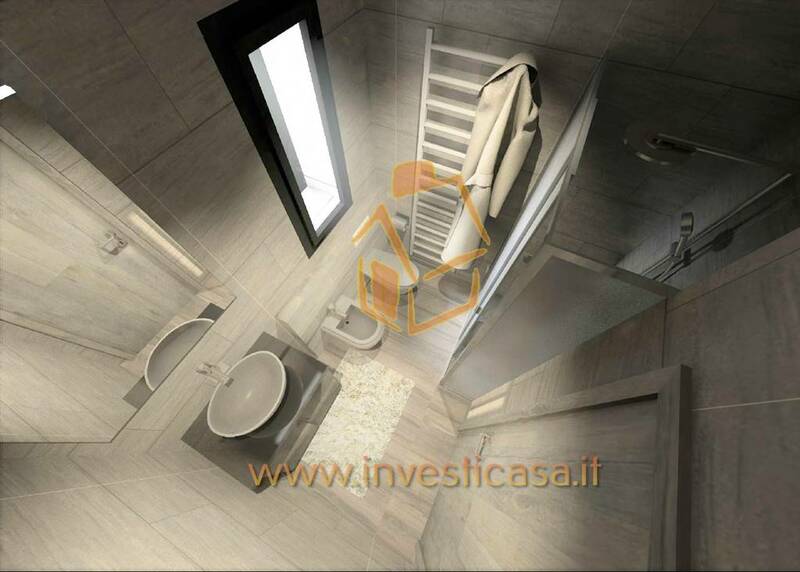 IL RESIDENCE È SITUATO NEL COMUNE DI COSTERMANO SUL GARDA, A SOLI 4 CHILOMETRI DAL LAGO DI GARDA E A POCHI CHILOMETRI DAL CAMPO DA GOLF DI MARCIAGA, SI INSERISCE NEL CONTESTO VERDE E TRANQUILLO DELLA FRAZIONE DI CASTION FACILMENTE RAGGIUNGIBILE A PIEDI E DOTATA DEI PRINCIPALI SERVIZI. INOLTRE L’AREA DISTA SOLO 10 MINUTI DI MACCHINA DA AFFI, SEDE DEI PRINCIPALI CENTRI COMMERCIALI E COMODAMENTE COLLEGATA AD AUTOSTRADA E TANGENZIALE. 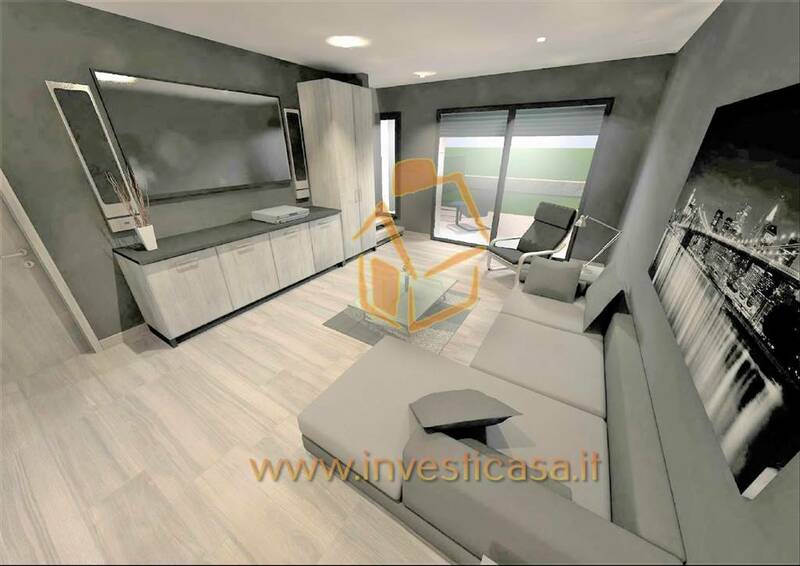 È UN’INIZIATIVA DI NUOVA TENDENZA NEL CAMPO DELL’IMMOBILIARE CHE OFFRE UN’OPPORTUNITÀ IDEALE PER QUALITÀ E CONVENIENZA AD UN PREZZO ACCESSIBILE PER I SERVIZI OFFERTI E PER LA QUALITÀ STUDIATA DEGLI IMMOBILI, CON UN ELEVATA ATTENZIONE AL COMFORT ENERGETICO, ADATTE ANCHE AD UNA PRIMA CASA RESIDENZIALE CON L’IDEA DI OFFRIRE UN ELEVATO STANDARD DI BENESSERE DELL’ABITARE CON INDIPENDENZA E RISERVATEZZA E CON IL MASSIMO COMFORT ACUSTICO, CON ATTENZIONE AL RISPARMIO ENERGETICO CON LO SFRUTTAMENTO DELLE RISORSE NATURALI ED ALLA MASSIMA RIDUZIONE DELLE SPESE CONDOMINIALI. TELEFONA O INVIACI LA TUA RICHIESTA SENZA IMPEGNO PER FISSARE UN APPUNTAMENTO E APPROFONDIRE I DETTAGLI DELLA NOSTRA OFFERTA ANCHE CON LA PRESENZA DI INTERPRETI MADRELINGUA TEDESCA ED INGLESE, NON C’E CLIENTE CHE NON AMIAMO RENDERE COMPLETAMENTE SODDISFATTO.